Okay here’s another annoying iOS feature that Mac OS X Lion has adopted. I actually hate this one, but it isn’t the one I hate the most I’ll talk about that next week. It’s smart if you need it, but stupid if you aren’t spending all day using different special characters. If you are a developer you might not like that fact that you cannot enter multiple letter A’s etc. The title of this post is an example of a creative way to use repeating characters that Mac OS X Lion won’t allow you to do by default. Today, I’ll show you how to fix that. 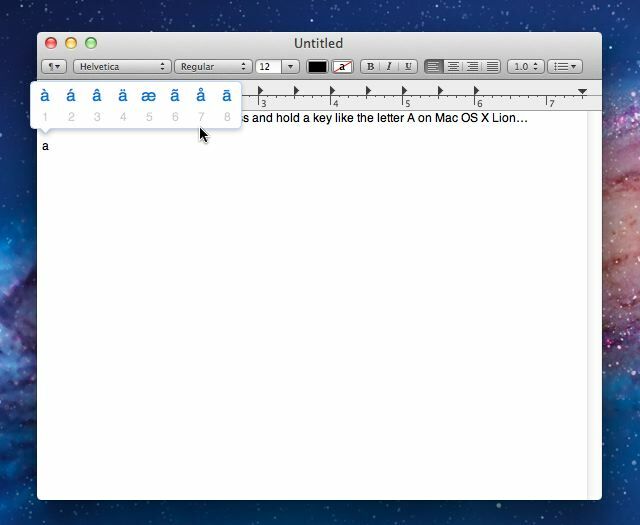 Mac OS X Lion will let a number of keys repeat like normal. Those keys include punctuation, special characters, and some letters, but no numbers. The confusion about this will probably frustrate you if you were a heavy user of repeating keys. So if you want to turn on the old way keys repeated here’s how. Please note that the change will not take effect for apps that are already open and running. You’ll have to close and re-open any apps before the change you make above so that the app recognizes the change.